I thought I would just update you with yet another pair of puma trainers I have got from work :). 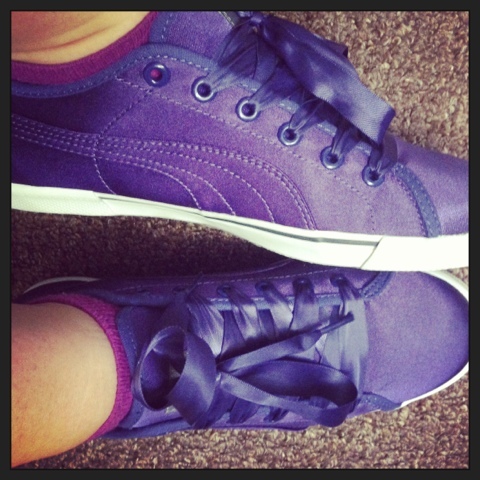 They a cute little satin purple pump with satin laces ! They aren't as comfy as the other that I have but I just like the colour and only cost £17.50 so pretty much a bargain if you ask me !! Any way just a quick post today :D.
Have you followed my new twitter account ? Please do :).